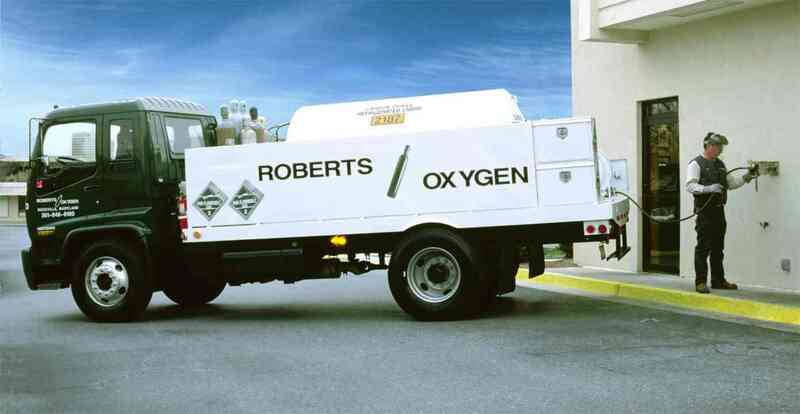 Roberts Oxygen beverage division offers excellent customer service from the sale, design and installation. 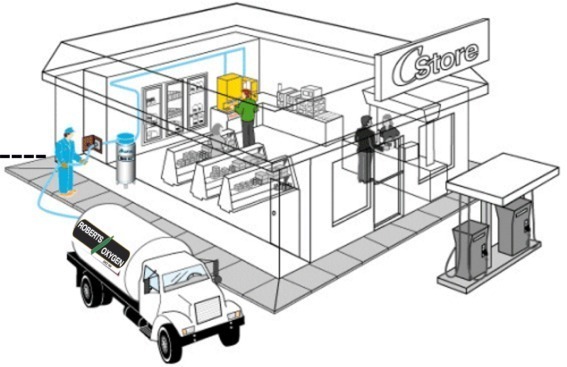 The Roberts CO2 system maximizes efficiency for our customers, eliminating the potential loss of business due to inadvertently running out of CO2, eliminating potential hazards of cylinder handling, and eliminating the expense of high-pressure cylinder systems. Today, Roberts Oxygen serves restaurants, convenient stores, fast food chains, and others throughout the Mid-Atlantic region. Our skilled technicians and sales staff will be happy to assist you. For more information or to have a sales representative contact you, please, contact us. One 400lb. capacity eliminates up to 8 each 50lb. high pressure cylinders. No more cylinder change outs. No more interruptions for CO2 deliveries. Fill / vent lines are located outside. Roberts Oxygen monitors usage and refills. No need to order ever. No more run outs. The bulk liquidator tank provides an uninterrupted supply of CO2. No residual CO2 sent back that you have paid for, all product is used. No heavy cylinders to move around. No more possible damage to walls, floors, tiles from moving cylinders. All CO2 requirements in your building can be serviced from one source of CO2 including soda, beer and wine. Reduces CO2 use and cost by up to 30%. Budget your cost of CO2 for the year and simplify your billing...just ask us how. Roberts Oxygen will custom install your bulk CO2 system. Roberts Oxygen driver filling CO2, without entering the building. Illustration of a typical customer fill. Click on the image for a closer look. No Dangerous Acids - No Acid Fumes. Safer for Both Bathers, Employees and Equipment...Reduced Corrosion. 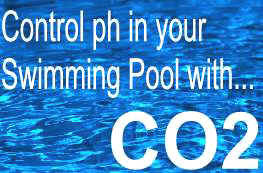 Improves ph Stability...Raises Total Alkalinity. Safer Handling Due to High Capacity of Bulk CO2 System. Uninterrupted CO2 Supply...Produces Exceptional Water Clarity.